High Technologies Solutions is a distinguished name engrossed in presenting a world-class gamut of services comprising Corporate Training. Oracle is the largest RDBMS (Relational Database Management System). A database is a structured collection of data. A RDBMS gives the user access to their data and helps them transform the data into information. Speed Techserve Pvt. Ltd. (OPC) since 2015 is leading Service Provider for Project Development Service, Training Service, Internship and Sponsored Program Service. The course covers several concepts and terminologies, including Developer and DBA Technologies. The curriculum also consists of sessions on Programing with SQL/PLSQL, Performance Tuning Features and Database Designing. The most important feature of training courses are that students learn by doing practicals. Our environment is Oracle Enterprise Linux 5.2, and Oracle Virtual Box. The participants practice installations of Enterprise Editions and RAC on this platform. 1) SUDEEP Technologies is one of the leading Training Company involved in providing ORACLE 10g D2K ONLINE TRAINING. Our Trainers are expert in providing Online Training with real time experience. 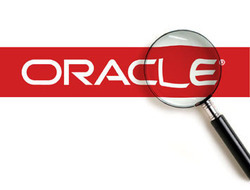 We are the one of the leading service provider for Teaching Oracle. We have the best qualified the teachers who will help out the students to learn the things quickly. We are also involved in offering Oracle Training, which is an ideal and comprehensive launch pad for anyone aspiring to become an oracle application software developer. This module is specifically designed for the it professionals, who want to make their career in oracle, the world's most complete, open, and integrated business software and hardware systems company. We are engaged in supplying and trading of Network 1U Servers, Network 2U Servers, Network 4U Servers, Network Blade Servers, System Network 1U Servers, Computer Network 1U Servers, Computer Network 2U Servers etc.